IFIC Bank Limited Job Circular 2018 has been published. 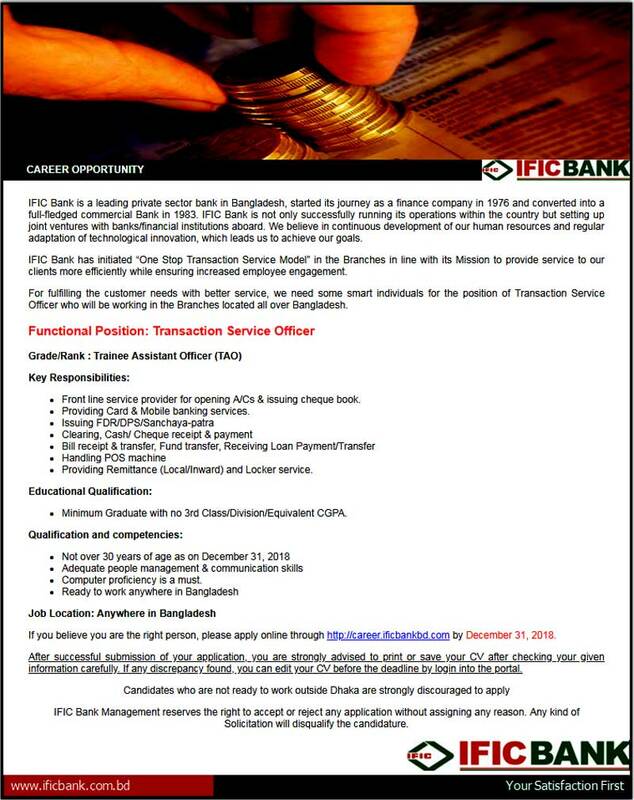 IFIC Bank Job Circular has been published for vacant positions of Transaction Service Officer. IFIC Bank Limited Job Circular 2018 has been available on my website. Banking service is all about choosing one’s own vision; it’s more than about choosing his/her job. So the interested and eligible candidates are requested to apply through online for the positions. To know more details please see the original Job Circular. The last date applies for positions 31st December 2018. IFIC Bank Limited Job Circular 2018. IFIC Bank only shortlisted candidates will be called for the interview as per the recruitment process. IFIC Bank was converted into a full-fledged commercial bank in 1983. 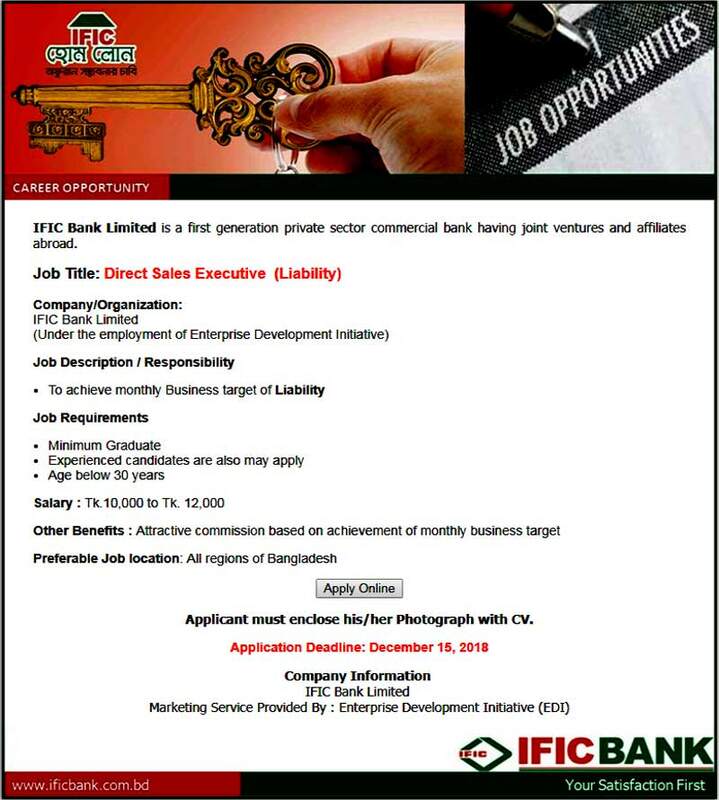 IFIC Bank has been published Job Circular Transaction Service Officer. IFIC Bank is an equal opportunity employer and welcomes applications from female candidates. Any kind of persuasion/canvassing in any stage of the selection process shall be treated as disqualification. IFIC Bank reserves the right to accept or reject any application without any reason whatsoever. IFIC Bank Limited Job Circular 2018.